This is a groundbreaking study of the prestigious Berlin and Vienna Philharmonics during the Third Reich. Making extensive use of archival material, including some discussed here for the first time, Fritz Trümpi offers new insight into the orchestras’ place in the larger political constellation. Trümpi looks first at the decades preceding National Socialist rule, when the competing orchestras, whose rivalry mirrored a larger rivalry between Berlin and Vienna, were called on to represent “superior” Austro-German music and were integrated into the administrative and social structures of their respective cities—becoming vulnerable to political manipulation in the process. He then turns to the Nazi period, when the orchestras came to play a major role in cultural policies. As he shows, the philharmonics, in their own unique ways, strengthened National Socialist dominance through their showcasing of Germanic culture in the mass media, performances for troops and the general public, and fictional representations in literature and film. Accompanying these propaganda efforts was an increasing politicization of the orchestras, which ranged from the dismissal of Jewish members to the programming of ideologically appropriate repertory—all in the name of racial and cultural purity. Richly documented and refreshingly nuanced, The Political Orchestra is a bold exploration of the ties between music and politics under fascism. "Not just an enlightening look at the subtleties of past history, but a cautionary tale for our present—and our future." "Given the heavy and heady nature of the subject matter, The Political Orchestra is far from an easy read, but those willing to invest the requisite time and consideration will find that Trümpi has masterfully shed light on this previously overlooked time in the world of European classical music." "The Political Orchestra is a product of extensive new research into the hitherto suppressed history of orchestral life in Germany and Austria during the Nazi era, and most importantly, the years leading up to it." "There are lessons here for our own grave times." 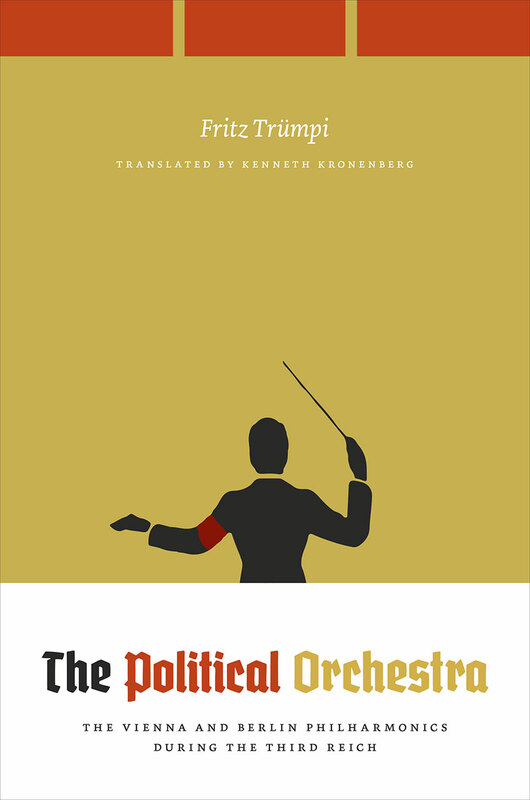 "This is the best book on orchestral life under Nazism." "The author has a fascinating and complex tale to tell, and does so brilliantly, combining a sure overview of historical data with a remarkable command of the often separate, often intersecting narrative strands." "The tale that it tells is both compelling and disturbing, especially to anyone who clings to the belief that high art is ennobling to the spirit."